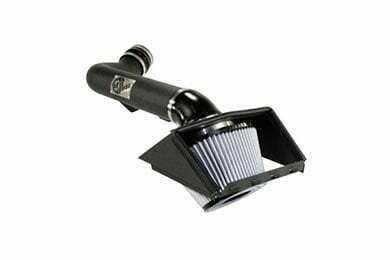 aFe 51-11902-1 - aFe Magnum Force Cold Air Intake - FREE SHIPPING! Really pleased with my intake. Really easy to install. Installation was a breeze, took me about 20 min to put this thing on. The tube which is powder coated aluminium looks great but the couplers on either side are a little cheap in my opinion, feels like they might crack after awhile. Over all the intake looks great, throttle response was greatly improved and I did notice a 1mpg increase which is better then nothing....plus the price here was sweet! And the live chat is awesome. Very easy to install. It definitely improves the sound of the engine. Power increase is noticeable also. I haven't seen much improvement on gas mileage yet. Probably due to my liking the sound! Reference # 764-442-059 © 2000-2019 AutoAnything, Inc.